If you are going to create a blog, one of the best tools that you can use to create one is to use WordPress. WordPress is an incredibly powerful blog creation tool, with which you can use a large number of features. Using WordPress, you can add a lot of useful features to your blog. And with WordPress updating your blog has never been easier. WordPress makes it easy to maintain and run your blog, which means that you will have more time and energy with which you can use to create more quality content for your blog. When you use WordPress to create and host your blog, one of the best things about it is the fact that you can easily change the theme of your blog. Using one of the many attractive and free themes that you can find on WordPress, you could change the way your blog looks. So whenever you feel like changing how the way your blog looks, you can just select a new theme. It is that easy to select the appearance of your blog; there is no need to know anything about design or website coding. All that you need to do is to choose a theme that you like and then apply it to your WordPress blog. And if you are searching for the best themes to use for your personal WordPress blog, then you have come to the right place. 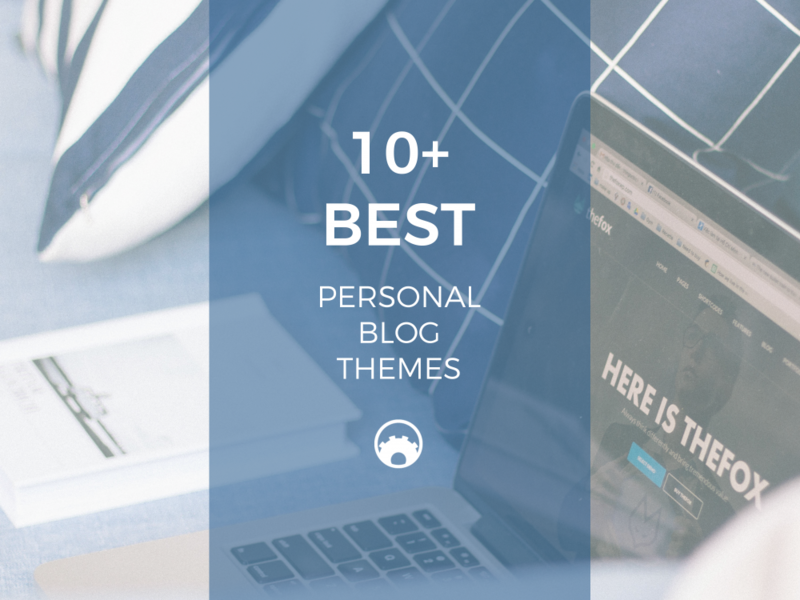 These are some of the best WordPress themes that you can use for your personal blog. 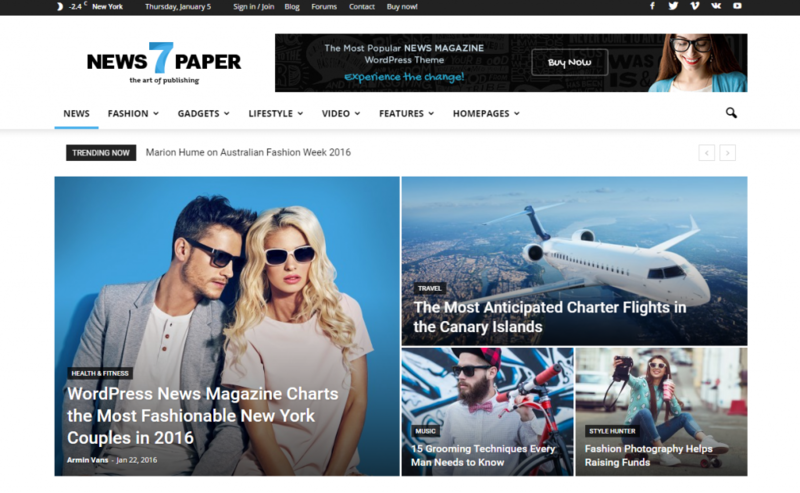 If you are going to run a blog that is mostly about news, then you should consider selecting this WordPress theme. The newspaper theme is an excellent theme to use because the layout for news stories is good. The theme makes it easy for your readers to access and read various news stories on your WordPress blog. Even if you do not run a news blog, then this is still a good theme to use. It has got a clean, modern design that will work well with most blog types. This is because this WordPress theme comes with premade header and footer templates, which can complete the look of your website. This is a highly customizable theme that allows you to change almost all of the aspects of your WordPress blog. And you do not even need to learn how to code to do so. Using the Uncode theme, you can easily change the icons, typography, backgrounds, and even the user experience on your blog. So you will be able to control a lot of the elements of your personal blog. Use this theme if you are seeking one that has got powerful customization tools. 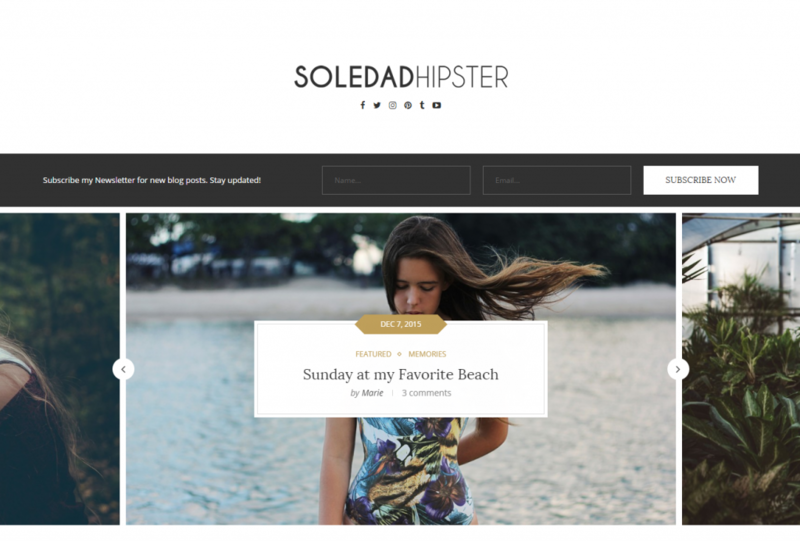 If your WordPress blog is geared towards a younger audience, then consider the Soledad theme. It’s polished and clean look has made it in high demand as a WordPress theme. This theme has got large header pictures that will allow your blog’s visitors to scroll through the images of your blog post. And it also has got a very vibrant design, which includes very fanciful script for the typography of your website. This WordPress theme can be a good one to use, if you are running a personal blog on lifestyle, cooking, or even as a diary for your day to day activities. A highly modern theme that has a very clean look, CheerUp is a very minimalist looking WordPress theme. You will certainly be able to do a lot with this theme since its clean design will look good with almost any kind of personal blog. And because it looks so clean, you will certainly be able to make your personal blog look more professional, if you use this theme. What makes this theme great is the fact that it is very clean which also makes it load fast. Your blog’s visitors will get a very fast experience when you use this theme. 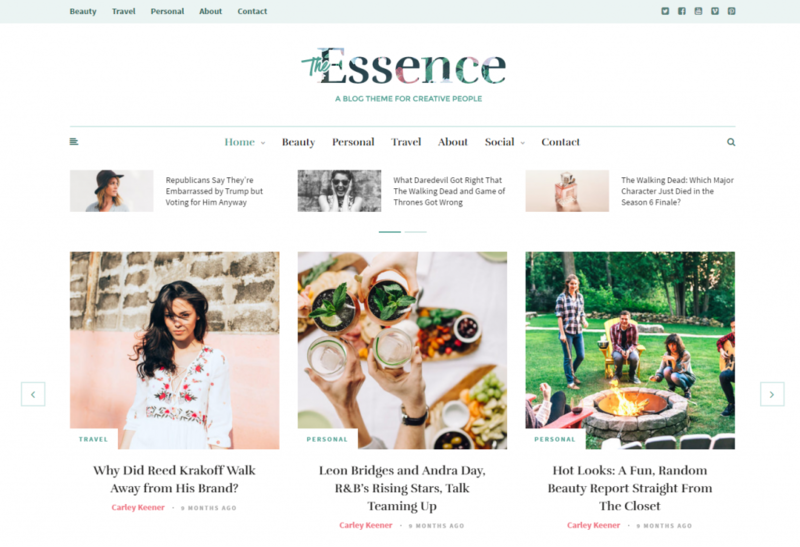 The essence is a WordPress theme that puts all of your blog posts condensed into a single page. You should get this theme if you want your blog visitor’s to get all of the information about your blog in a single view. This is a WordPress theme for people who want to create an information heavy personal blog. If you run a very technical blog, then you may want to try using this theme. At a glance, it provides a huge list of options for those who visit your WordPress blog. A cool WordPress theme to use, this is especially true, if you want to achieve a minimalist look for your blog. The Freyja theme has got neat features too. It has got very clean options menu, which makes your blog appear more organized and less cluttered. This is a a great theme to use if you have got a blog that is geared towards creative types. You can see the creativity and the effort that went into designing this WordPress theme. For people, who want a more whimsical look for their personal blog, then maybe they should get the Random theme. True to its name it has got a very eclectic look. However, your blog will still loo very professional because the design of this WordPress theme is still very polished. This WordPress theme is brimming with vibrancy. It is a very light and bright theme that can be used to achieve a youthful appearance for your WordPress blog. The design of this WordPress theme looks very modern and casual too. So you will appeal to a lot of internet user’s tastes using this theme. Need a theme that is more visually stunning, but also looks professional too? Then this might be the theme for you while looking very stunning it still manages to look clean and neat. If you use this WordPress theme for your personal blog, then many of your blog’s visitors will be impressed by its appearance.